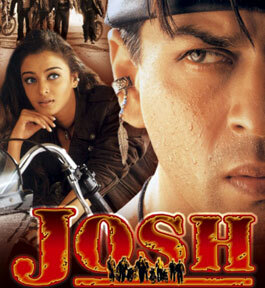 Hum Bhi Hain Josh Mein song belongs to the Mansoor Khan's film Josh starring Shahrukh Khan, Aishwarya Rai, Chandrachur Singh and Sharad Kapoor. Hum Bhi Hain Josh Mein Lyrics are penned by Sameer while this track is sung by Mano and Suresh Peters. Ja re yahan na aa re na humse karna koi khata haan..